VIS is a Ukrainian engineering and manufacturing company that is specialized in large scale weight measuring equipment. The firm has 220 employees and produces equipment for rail transport companies, logistic centers, ports, factories and other clients. The Tesla Club of Ukraine are engaged in the popularization of electric vehicles, providing advice on their importance and use. The main goal of the club today is the development of a charger infrastructure for electric cars. Together with our partners, during 2014, we installed and open 37 charging stations, which use is completely free and enjoyable (they are installed near delicious restaurants)! Sovtes is Ukrainian company which develops software for transport management. The company uses special software to help automate business processes, cut costs, monitor the movement of goods and examine the state of the road network. 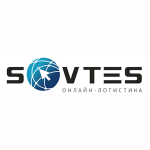 Sovtes was one of the first Ukrainian companies to implement SaaS in logistics in Ukraine. 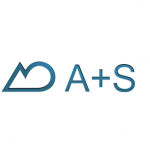 A+S Ukraine is a member company of A+S Group with headquarter in Dresden, Germany. It is the official CIS distributor of PTV Group software, one of the world’s best transport planning and modelling software developers. Experience of A+S allows to create transport models of any complexity: from the simulation at the micro level, to transport models of cities and regions. YUNASKO is the developer and licensor of the leading technology for the energy storage devices. This technology is ready for the large scale manufacturing by world class electronics manufacturers. Company develops ultracapacitors, which present a type of energy storage devices characterized by prominent power characteristics – well above conventional batteries. 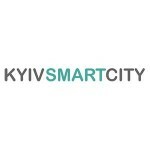 “KYIV CITY SMART ” – A project to develop and deploy advanced city management systems using modern information and communication technologies. The aim is to create a comfortable urban environment and a sustainable, successful and prosperous future for Kyiv. EasyWay was created in 2011 to help people navigate in a city and tell how to choose public transport for their movement. From 2013 EasyWay was the technical partner of the world-known IT companies Google, Yandex and Here. 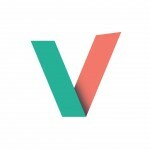 Veedoo is a communications company with expertise in a broad range of web-based technologies, digital video production and online messaging systems. By focusing on content as much as design and usability, we help to create media-rich and engaging websites and outstanding communications campaigns. 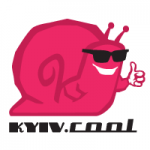 Kyiv.Cool is an English language portal for anyone and everyone who has an interest in Ukraine’s capital city. Kyiv.Cool aim to uncover the best that Kyiv can offer and share it with the world, but we also trying to foster a sense of community and create a space that everyone can use to discuss, share and shape our surroundings. EVERLEGAL is a new and independent Ukrainian law firm that combines a market-leading local litigation boutique and the Ukrainian office of a leading international law firm. This combination means that EVERLEGAL provides international experience multiplied by a deep understanding of the local market and Ukrainian legal practices. ITS Ukraine links, promotes and supports transport technology providers and clients. Together we aim to increase the use of intelligent transport systems in Ukraine!